What would happen if you condensed a Swiss Army knife into the size of a quarter? You’d probably get something like the Fly Pry. The Fly Pry is one of many travel worthy accessories which have debuted on Kickstarter, and I’ve had the chance to try it out. I’ve been testing a prototype version of the Fly Pry in the Queen Fly size. 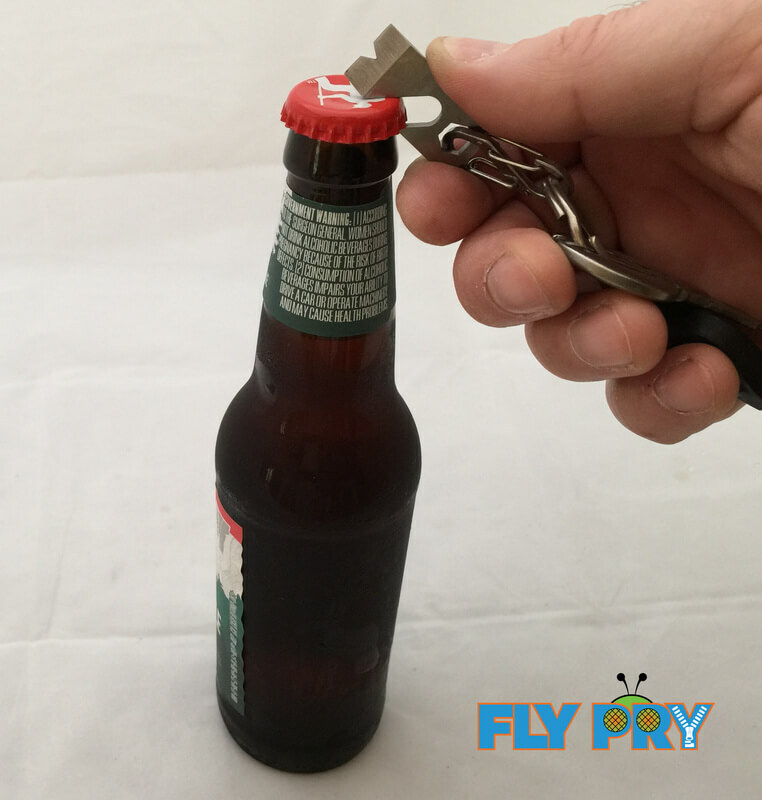 The final production Fly Pry has an improved bottle opener, but everything else is the same as the prototype I’ve tested. The Fly Pry is 1.25 inches long and 0.5 inches wide. It’s made of titanium, which is lightweight and durable. 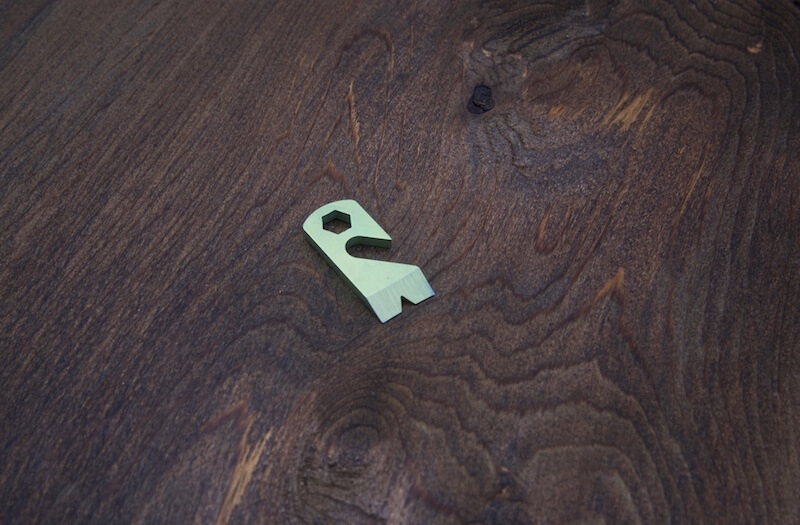 At the top of the Fly Pry, there is a hexagonal hole, which can be used to connect the pry to a keychain and also works with ¼ hex bits. The bottom of the Fly Pry has a chiseled edge that is sharp enough to cut boxes but can’t really cut skin (unless you really tried or used the corner). So far, I’ve been carrying the Fly Pry around almost everyday and have primarily used it for cutting open boxes. 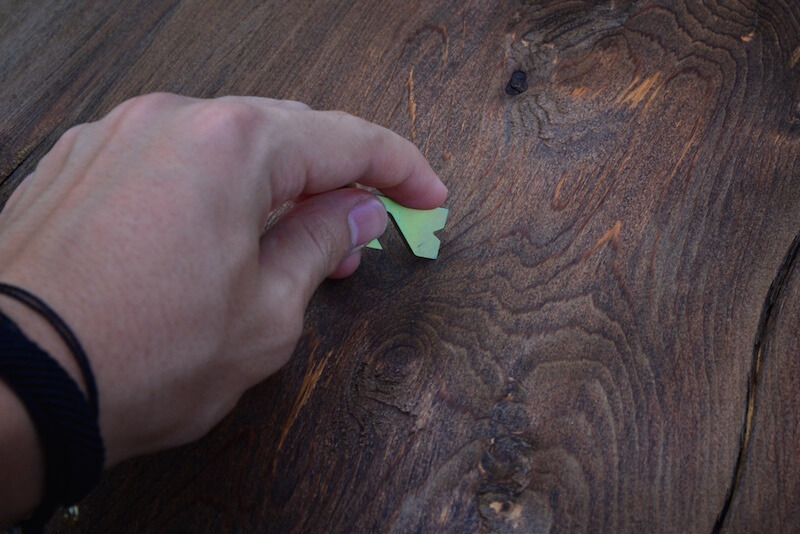 Here is a list of the ways you can use the Fly Pry. I’m sure I’ll think of many more as I continue to use the Fly Pry. When I first got the Fly Pry, I planned on using it as a zipper pull replacement for my jacket. I decided not to do that in the end, because I didn’t really feel comfortable using it with my down jacket or Salomon softshell because the scraping edge could easily puncture a hole in the baffles of my down jacket or tear the jacket. The Fly Pry isn’t sharp enough to cut you, but the corners are quite sharp and can tear things and open boxes. 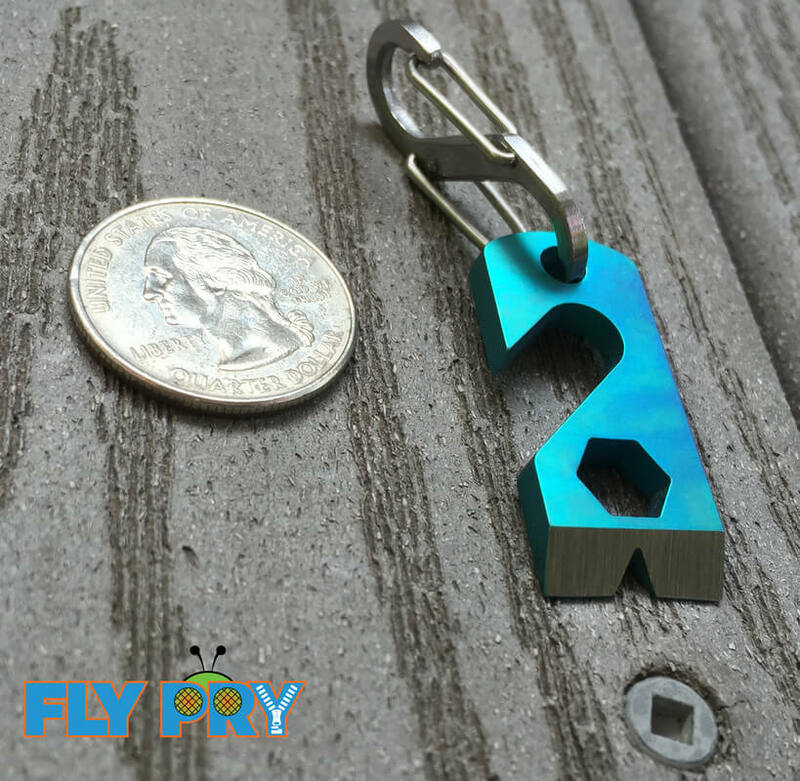 Since the Fly Pry is really tiny, it’s easy to lose track of, so you’ll want to always keep it connected to something like a key chain. Overall, the Fly Pry is a really useful accessory that can be used for travel, around the house or at work. Being made from Titanium, it’s very durable and I expect it to last a long time. Have any questions about the Fly Pry? Leave your comment below. The Fly Pry was provided for this review. As always, this Fly Pry review contains only my honest views and opinions. Some links found in this review are affiliate links, meaning that we get commission if you decide to make a purchase, at no additional cost to you. This helps to fund the site. 🙂 Find out more about me and this site here.